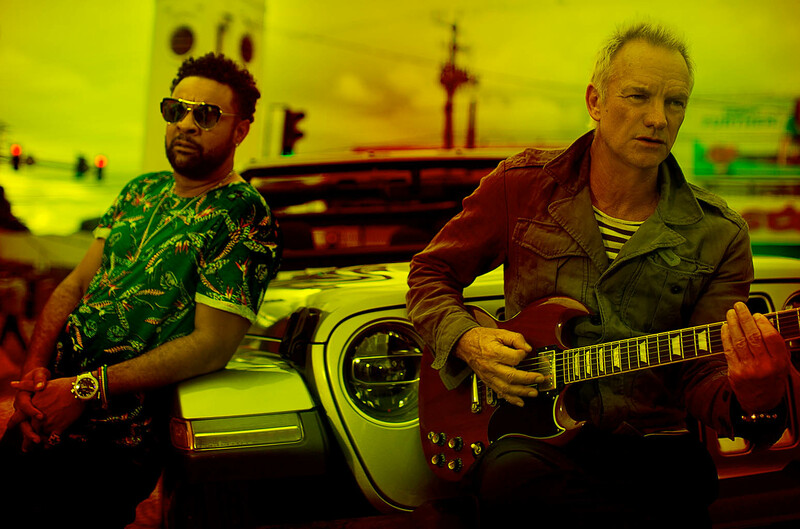 On April 20th, 2018, Sting & Shaggy will release their new collaborative, island-inspired album, entitled 44/876, on A&M / Interscope Records. 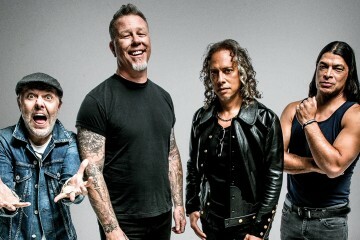 Featuring various album formats, fans can pre-order the collection now and receive an instant download of the new song “Morning Is Coming” – a brassy reggae track fueled by sultry horns – as well as the current, Caribbean-flavored single “Don’t Make Me Wait” (video above). 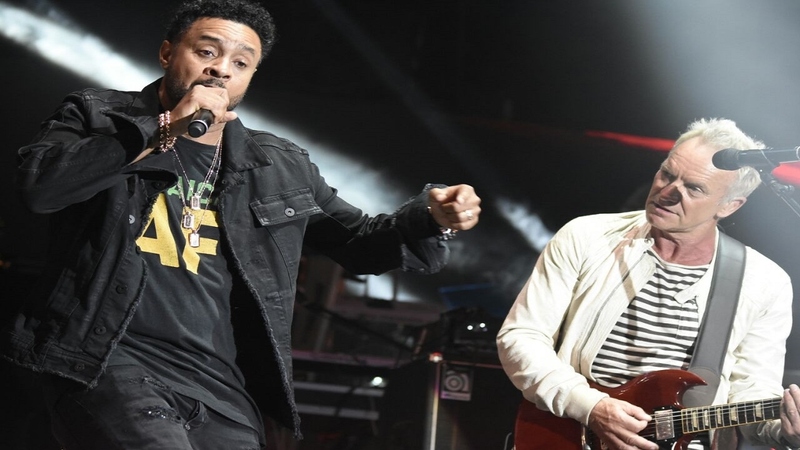 “Don’t Make Me Wait” was released on January 25th, 2018 and debuted at #1 on Billboard’s digital reggae single sales chart. 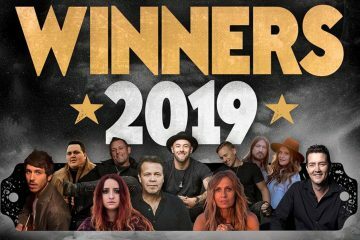 The release was followed by a performance on the 60th Annual Grammy Awards as well as the NFL’s Super Bowl Tailgate event that aired on NBC Super Bowl Sunday. Filmed in Kingston, Jamaica, the video for “Don’t Make Me Wait” was directed by Gil Green (Nicki Minaj, Drake) and celebrates the duo’s mutual love of the country. 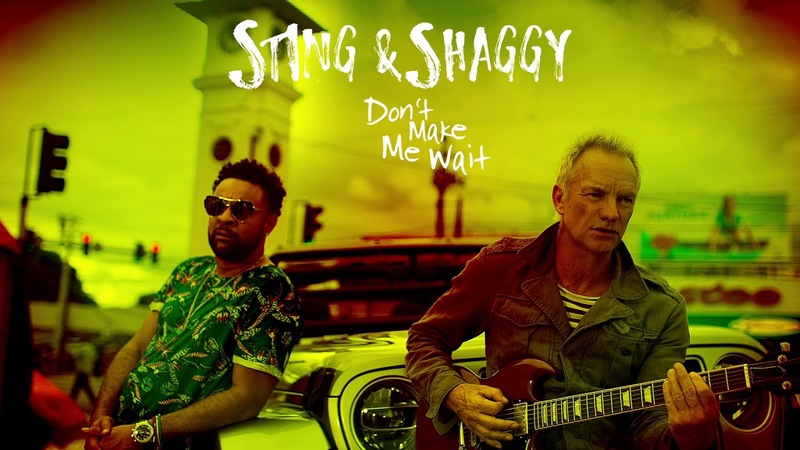 Sting & Shaggy also added Brazilian flair with a new Tropkillaz remix of “Don’t Make Me Wait” which was released on February 23rd, 2018 worldwide. “Don’t Make Me Wait” (Dave Audé Rhythmic Radio Remix) and “Don’t Make Me Wait” (iLL Wayno Remix) bring additional dance floor and dance hall treatments to the infectious song. 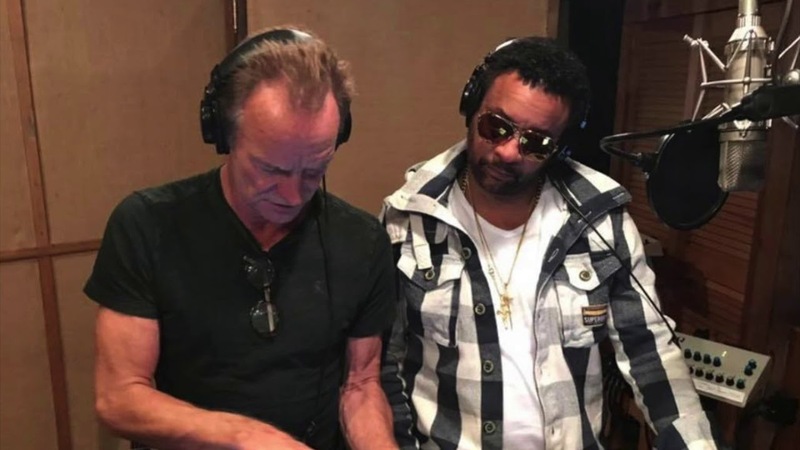 44/876 was recorded in Jamaica and New York with Sting & Shaggy being joined by various musicians and writers including the legendary Robbie Shakespeare of Sly and Robbie, dancehall sensation Aidonia, Morgan Heritage, Branford Marsalis, Agent Sasco and Sting’s longtime guitarist, Dominic Miller as well as writers Taranchyla, Dwayne “iLL Wayno” Shippy, Shane Hoosong, Machine Gun Funk and Patexx. 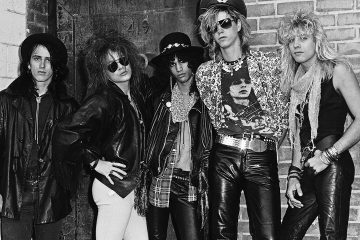 The sessions were produced in part by Sting International (“Oh, Carolina,” “Boombastic” and “It Wasn’t Me,”) and by Martin Kierszenbaum who has previously written/produced songs for Sting, Madonna and Lady Gaga. Sting International, Robert “Hitmixer” Orton, Sting International and Tony Lake mixed 44/876. Black Eyed Peas – New Album!